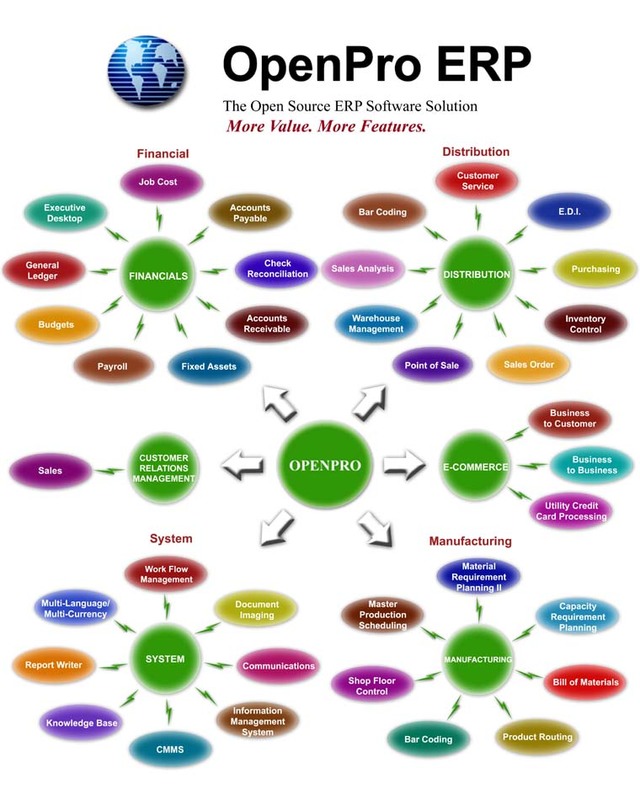 OpenPro Press Release March 26, 2014: OpenPro is the leader in licensed Enterprise Resource Planning (ERP) using open source LAMP technology. Software version 7.5.0 includes over 200 feature enhancements, such as interfacing to Google docs, e-commerce improvements, and Inventory Control reporting updates to benefit small to enterprise sized businesses. For the full press release and to find out more about the newest software updates, please visit the OpenPro website. If you have any questions about OpenPro’s newest version 7.5.0 and how it can enhance your business work flow, while reducing your costs and improving your customer relationship management, please email one of our customer service representatives: infoop@openpro.com or call: 714-378-4600. Version 7.2.0 of the OpenPro ERP software has over 350 enhancements! For the full press release with specific improvements and updates, please visit our website.